Has government gone overboard with agile contracting? 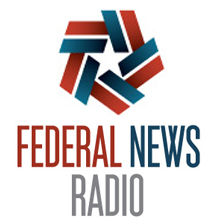 Jason Miller of Federal News Radio reports on the recent proliferation of agile blanket purchase agreements in the federal space – including three large contracts from three separate components within DHS. His report examines the motives and methods behind federal agile contracting, and raises good questions around the cost efficiency of each agency awarding contracts separately. All of this evidence points to the acceptance of the iterative development process after years of agencies being stuck in the waterfall only mindset. That’s a good thing and a change that has been a long-time in coming. But it also highlights the need — and the opportunity — for OFPP or GSA or someone to create a government-wide contract for agile services in the near term and put an end to what looks to be a proliferation of one-off contracts that will end up costing the government and industry a lot more time and money than they need to expend.